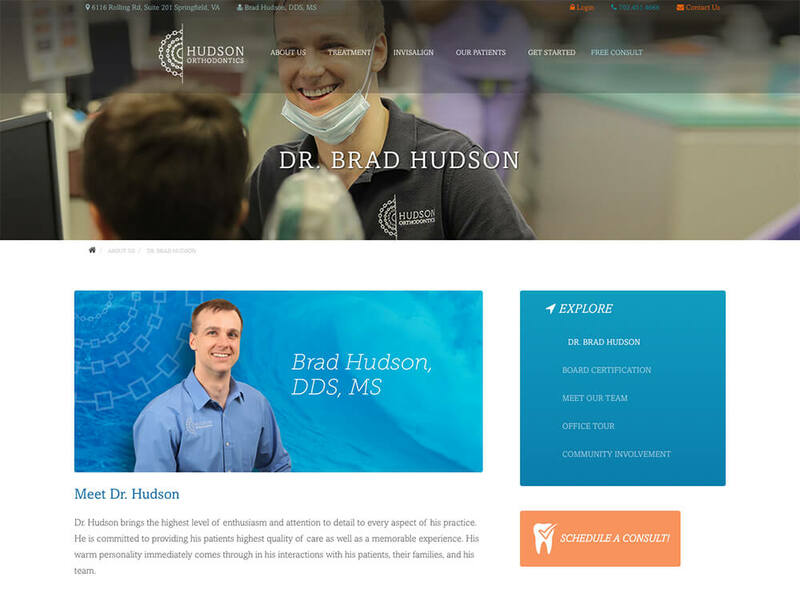 Dr. Brad Hudson, the principle orthodontist at Hudson Orthodontics came to Speak to help with the design of his new website. Aiming to increase leads for his business and showcase the high-tech, modern practice, Dr. Hudson wanted a website that shared the ins and outs of his practice to potential and current patients. He also needed a site that was mobile-friendly and could be viewed on any device, and would showcase his active social media accounts. Offline behavior guided content strategy. Strong calls-to-action on Dr. Hudson's site allow users to learn about his practice and navigate the website to find important information or to schedule a consultation. This user flow is important and was discussed heavily during content planning. The user’s behavior throughout the site was influenced by the overall brand experience and was designed to give a great first impression of the practice. With the help of our SEO team, Dr. Hudson was able to capture attention online and drive business from his website. 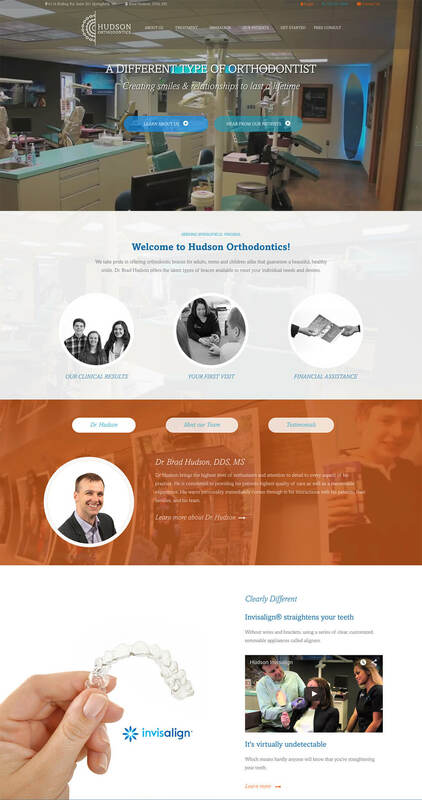 In the first month, the Hudson Orthodontics site had 354 visits from Google and 61 visits from links across the web. Of these, 250 were new users to the website. Dr. Hudson also received 15 new patient leads during his launch month, and he increased his social media presence by 400%. We also helped him launch a paid social media advertising plan that reached over 7,000 people. This social traffic led to nearly half of the new site traffic. Since the first month, Hudson Orthodontics has continued to expand its reach. A strategic keyword plan has also been implemented to help Hudson's website rank in local searches for orthodontists.